Call 360-207-0763 to schedule your first appointment. Let Miracle-Ear® be your premier source for hearing aids in Longview, WA. We're America's most recognized brand of hearing aids, and we know that you’re going to like what we have to offer. Whether you’re starting to wonder if you’re experiencing hearing loss or you simply know that you want the best, Miracle-Ear will have a hearing aid for you. We pride ourselves on the quality of our products and the service that goes along with them. All of our hearing solutions can improve hearing in those who suffer from hearing loss, but our GENIUS™ Technology offers the additional benefits of advanced features. From the ability to easily make adjustments with a special app* to the hearing aid’s ability to zero in on the sounds you want to hear, GENIUS™ Technology offers the highest quality hearing experience for the owner. When you purchase your hearing aid from Miracle-Ear, you’ll get periodic checkups for life at our hearing aid center. Are You Prone to Hearing Loss? Has anyone in your family experienced hearing loss? Have you spent long periods of time exposed to loud noises, such as factory machinery or concert music? Do you currently suffer from diabetes, or a heart, circulation, or thyroid problem? Do you take any ototoxic medications? Fortunately, hearing aids can help a large majority of those who suffer from hearing loss. Come see what a difference they can make. Our experienced hearing care specialists will be ready to serve you. Call Miracle-Ear in Longview today to set up a free hearing test** and browse our available products. We’ll do our best to match you with a hearing aid that will meet your unique needs, and you’ll get a risk-free, 30 day trial† for your hearing solution. Shannon has 25 years of experience as a Board Certified Hearing Instrument Specialist and has been the owner of the Miracle-Ear in Longview, WA for 24 years. Shannon is a Board Certified Certified Hearing Instrument Specialist which is a distinguishing mark of the highest standards of skill and knowledge that requires at least 2 years of experience in the hearing care field. 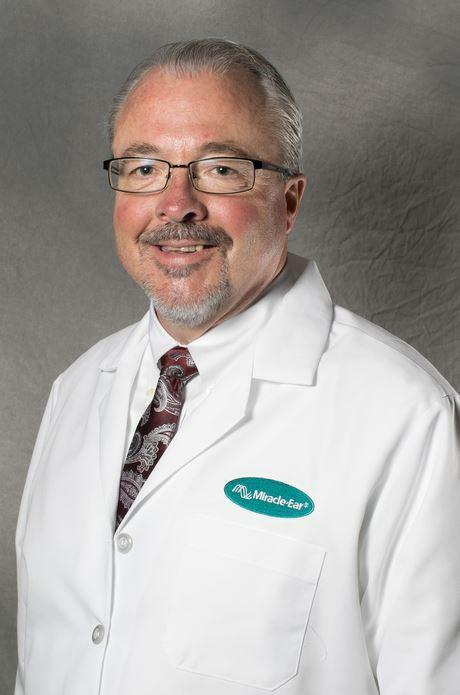 He is also accredited by the International Hearing Society ACA (American Conference of Audioprosthology) and is a Board Member of the Washington State Hearing Society. Shannon's favorite part of working at Miracle-Ear is "being a member of the best team in the hearing aid industry: Miracle- Ear. We have access to the best hearing technology and the best training to maximize our patients' experience. I get to serve the hearing needs of people that I consider my friends every day. I love that I get to experience the positive impact that hearing aids have on peoples' lives."